Highly recommended by our Eczema, Psoriasis and Dry Skin Sufferers. Combines the exceptional properties of Lavender and Bergamot Essential Oils. Both of these Oils are renowned for benefiting all skincare through their antiseptic, antibacterial and healing properties. I was recommended Little Goat Soap Company by someone on Twitter who had a similar skin condition to mine (lichen planus). Since using the Lavender & Bergamot soap my skin has almost returned back to 100%. Not saying this soap completely cures it but it has certainly helped relieve itchiness, smoothness and marks. Plus following them on Twitter and having any questions means they get answered quickly and swiftly. And also when you just missed on the loyalty code! Thank you so much for sending another one. Started off as a tester…won’t even go back to normal soap EVER again. I saw a sign promoting soap to help dry skin and eczema at ‘Henley show’ outside one of the trade tents. I had to go in and explore; and see this soap for myself. I had tried so many dry skin/sensitive skin soaps and body washes and none have worked quite like this soap. It is so soft and my eczema on my fingers has almost cleared up. Something that hasn’t happens in a long time. I highly recommend trying this soap. The soap bar doesn’t seem to be getting smaller and it has made my bathroom smell amazing as well. Defienlty recommend you to try this soap !!!! MIRACLE SOAP! I suffer from bad eczema and this soap has changed my life! Before this soap I had tried everything, all the lotions and potions. Creams I had previously found effective just made my eczema flare up worse than before. 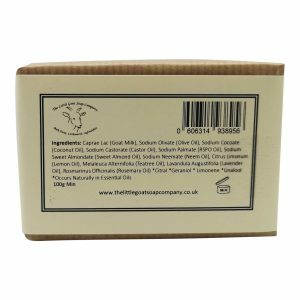 My mums friend saw my eczema one day and gave me a flyer for the Little Goats Soap Company and this soap, as this soap had helped her sons eczema. I am so thankful she did as this soap is incredible! Within two days of using it my eczema cleared up almost completely! No more nasty painful flares or irratating itching. It’s really is a miracle!! 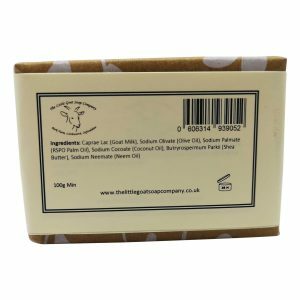 I am so grateful to the Little Goats Soap Company and cannot recommend this soap highly enough! It’s smells delicious and works wonders! THANK YOU!! Amazing! 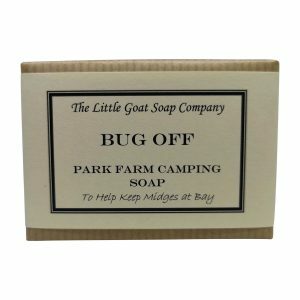 I can’t believe I have never heard about The Little Goats Soap Company before. I definitely recommend this product and all the other products really. The soaps have made a massive positive difference to my skin, which has made me more comfortable and confident, the lip balms are brilliant and the service is excellent. I first heard about this company in the ‘Natural Health Magazine’ and thought I would give it ago. There is no going back for me now! Thank you for entering my life little goats soap company :-). I bought the Lavender & Bergamot soap whilst at a local show. I always worry about trying new skin products, as I suffer from dry skin which is prone to eczema, but I need not have worried. The soap really moisturises my skin and has a lovely fragrance, so very pleasant to use. I ordered my products and they arrived very quickly, all neatly packaged. I’m very pleased with the service received and will definately be ordering again! I’ve been using this product for quite a long time and the result is amazing. Daily use makes the skin smooth and moisturised without any greasy residue. Also, having used various products in the past, I was always getting a tight feeling because of the dehydration. With this product, that unpleasant effect is gone for good! A tip I would love to share, is the relief I found after having encountered some rather annoying mosquitos. Living in Athens, things like this happen very often and since I wasn’t anticipatory enough to buy “BUG OFF”, I found myself being bitten several times. Knowing that lavender helps relieve the sensation cause by insect bites, I tried washing my skin with “LAVENDER AND BERGAMOT” soap. The result was marvellous; the itch disappeared in a couple of minutes and the large bites reduced in swelling. This soap is a MUST for anyone who desires a smooth, clean and shiny skin! Tried this after two years of severe eczema in one hand, and I haven’t been able to use any soap for this time, as other soaps caused the flareups… I am ‘sold’ on the Lavender and Bergamot. After washing hands they are moisturised by the soap. Highly recommended – ten, not 5 stars. So glad I discovered this product. Having had long term eczema on one hand, I could not use soap for nearly two years, but tried this lavender and bergamot soap, and it is highly recommended. Ten, not 5 stars. Washing hands with this moisturises well and does not cause eczema flare ups. I got sent a wee bar of this soap, before I opened the wrapper the smell was amazing, I’ve always had sensitive skin but was shocked to find out this left my hands so soft. As someone who has had eczema since childhood I’ve tried lots of soaps claimed to help dry skin. However, the Lavender & Bergamot Goat Soap is now very much my preferred choice. It does not dry the skin or cause any irritation. Well worth a try if you have sensitive or dry skin. At a Christmas fair I was given a sample of this soap for my husband to test as he has bad contact allergies with a lot of products. He really loved the soap- even though it took ages for him to try it! Highly recommended! After years of living with eczema/psoriasis trying every cream lotion and potion the doctor prescribed nothing worked. I started using lavender and bergamot soap for eczema/psoriasis approximately five weeks ago. I can hardly believe the results myself. My hands are almost normal again. Joy of Joys. I highly recommend this soap. Now more grease on my hands or cotton gloves. I have chronic idiopathic urticaria – which means my skin can flare up in itchy hives for no apparent reason. The lavender and bergamot soap really soothes the itching. All the goat soaps are beautifully moisturising leaving no dryness or tightness. I have only used this soap two or three times so far but noticed a difference on my skin – it feels softer, smoother and looks brighter, especially on my face! I haven’t noticed a difference on my psoriasis as yet, but happy with the overall feel of it. I tried the guest size of this soap along with some others and really liked them all. But this is absolutely my favourite. The scent is heavenly and the soap leaves my skin feeling comfortable and hydrated. Have just ordered 3 in the full size.